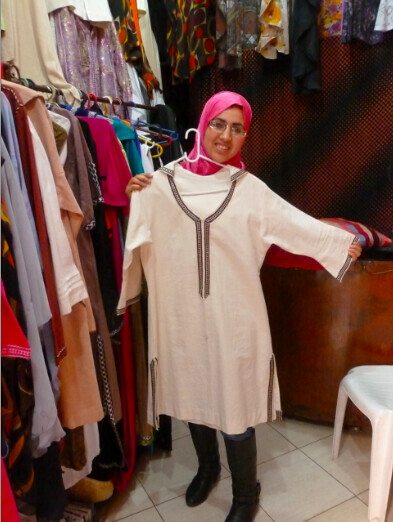 So, we found this lovely little shop in the Marrakech medina with excellent quality tunics and such, made from linen and superbly tailored. In chatting with the shopkeeper, Nadia, we learned that her sister is the tailor. So we ordered a couple custom tunics, well, actually, by the time they're done they'll be dresses, but the point is, they're super cute and so well made. And, they'll be made custom for me to my size and specifications. But how does this relate to zeitoun (olives)? 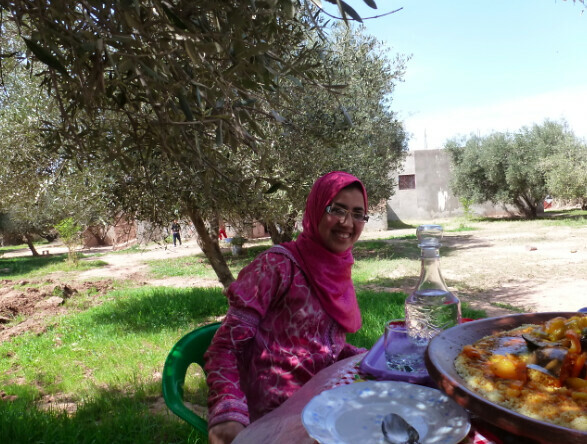 Well, Nadia (pictured above, with the model of tunic I'm getting) is so warm and friendly that she insisted we come for lunch at her family's small olive farm, just outside Marrakech. 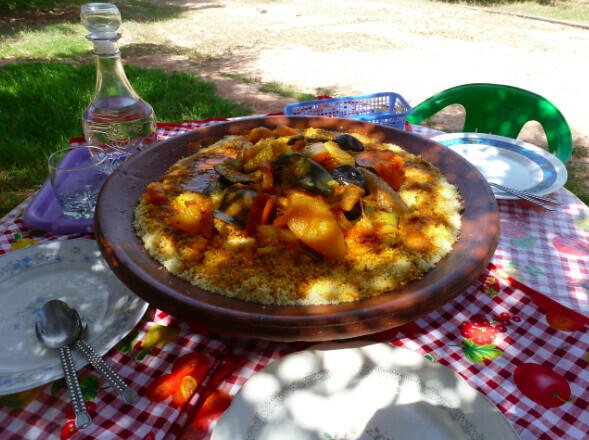 So buying a couple of dresses resulted in an incredible lunch of couscous in an unforgettable location. With Nadia's generous and hospitable family. 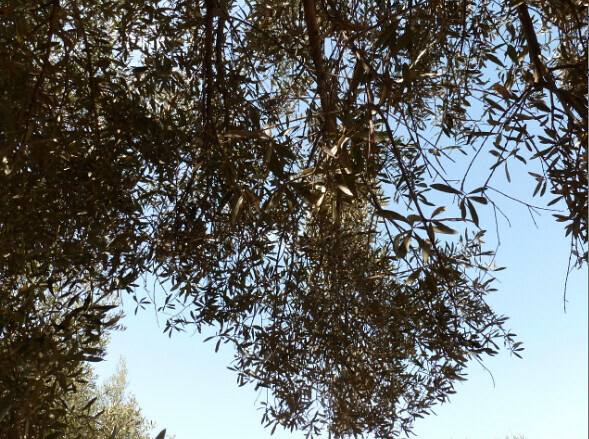 The view from our table, in the deep shade of an old olive tree. 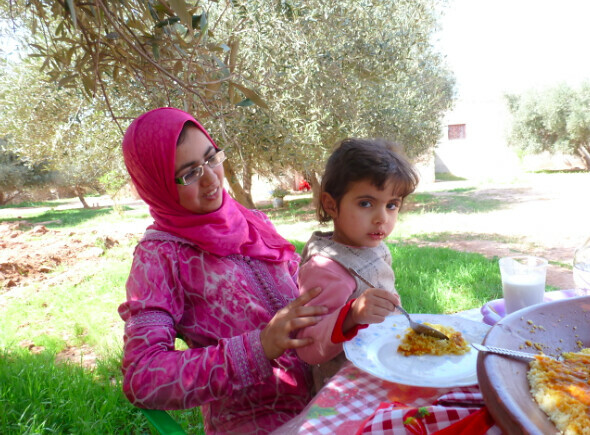 I can't tell you how luxurious it seemed to us city-dwellers to get to eat under a tree. It made us wish for a small farm ourselves! The farm from the end of the property. 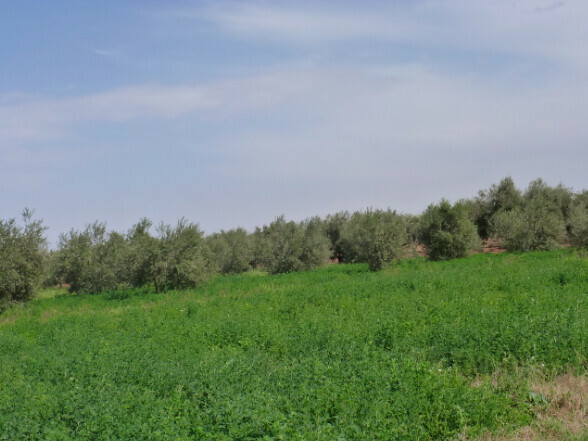 The green area is food for the animals - cows, lambs, a horse and so on. 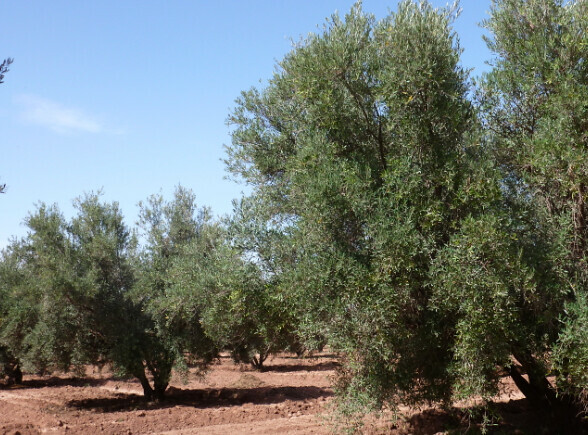 We had olive oil made from the olives of these beautiful trees. 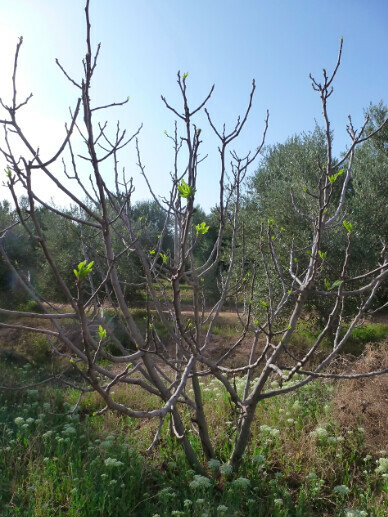 A fig tree is just starting to bud. 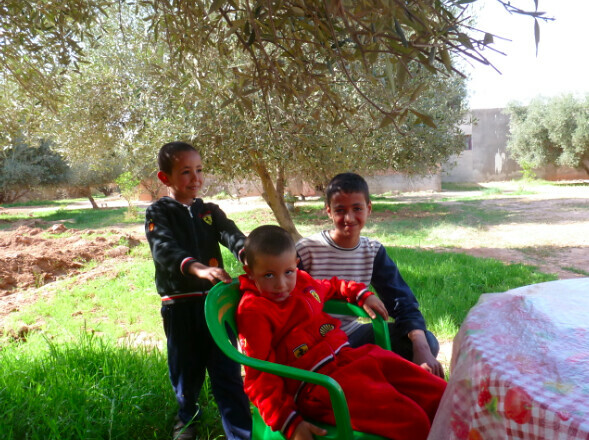 Funniest of all were Nadia's nephews. The little ones are rascals and were so excited for our visit - they asked if we could stay longer. Sometimes the best times of vacation are the unplanned occasions.